We offer the exclusive service of AllFresh Seafood Platters for guests staying at our properties. Your ready-to-serve platters are expertly prepared from a combination of the highest quality fresh seafood. Call AllFresh, order your platter over the phone, pay them directly and get it delivered to our office!! Please note: All orders need to be pre-ordered prior to 10am on the day of delivery. AllFresh will not take orders on the weekends when our office is closed (unless you pick them up directly). Relax, rejuvenate, refresh... Book all your treatments with the Port Fairy Day Spa, they are perfect at any time of year! And get $10.00 off any treament as a valued Hearn's guest! Visit the Port Fairy Day Spa website to view their extensive list of services offered! An aquatics centre in Port Fairy that has it all! Want to get fit and have fun in the process? Visit Belfast Aquatics today! Salty Dog Charters is a local fishing charter business located in Port Fairy, Victoria Australia. Catering for different levels of fishing experience, from the beginner, to the passionate, from the young to the not so young. Catering for both males & females, families or a group of mates looking for a day out of fishing and exploring. We provide high quality equipment & everything you will need for a memorable fishing adventure. We allow alcohol (in moderation) on the boat & play music while you catch your dream fish. 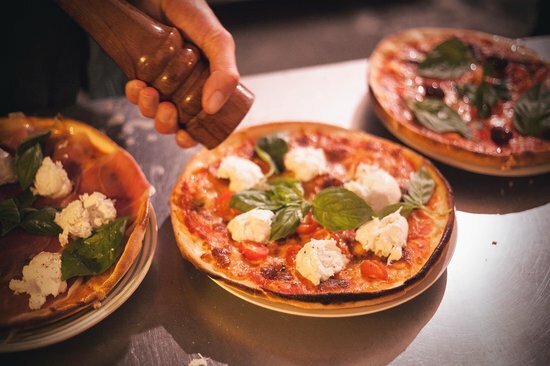 Coffin Sally is the perfect place to retreat for a cheeky drink in the funky bar area and to enjoy superb gourmet style pizza. Fresh and made with cool vibing TLC. Visit their website to view the range of what the offer - here's a direct link to their menu too! Jump online to their website to view the range of water based lessons they can offer you! Perfect way to get the kids out of your hair, or get out on the saddle your self at any time of year! New to Port Fairy this authentic Mexican Cantina, is a local and family run business that offers a cool atmosphere as good as their food! Visit their website today to meet the team and see what fabulous authentic food they can offer you! 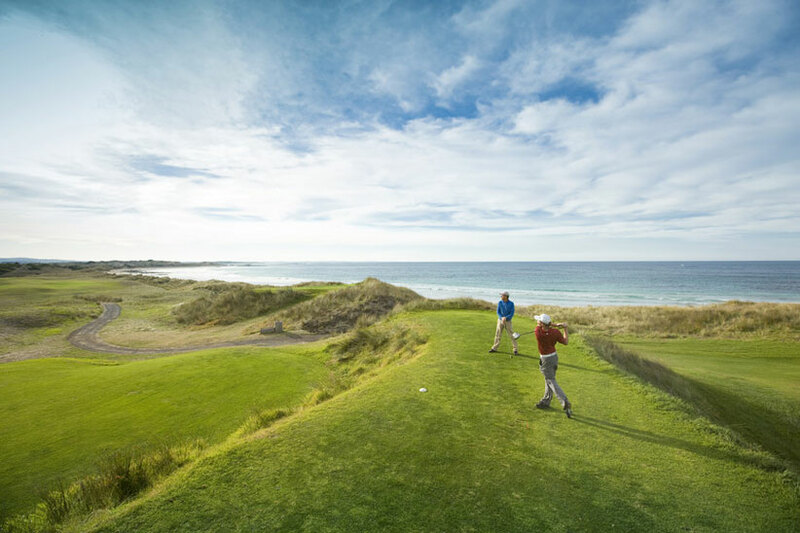 Looking at playing golf while you are staying with us in Port Fairy? Why not ask us what we can do for you with your green fees at Port Fairy Golf Links! As a valued guest to Hearn's Port Fairy Accommodation, we can offer you a discount on your green fees! Just ask us how when you book or prior to your arrival.